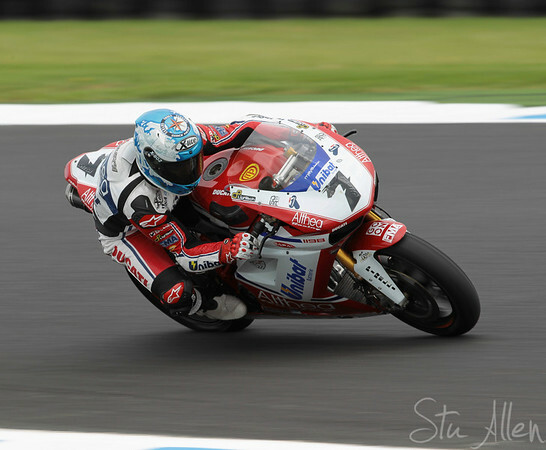 has dominated the opening two races of the World Superbike Championship at Phillip Island. The Spaniard rode his Ducati to perfection, kicking off the 2011 season in dominant fashion. In Race 1, Checa took the lead from Eugene Laverty (Yamaha) on Lap 3 and steadily pulled out to an unchallenged four second lead over reigning champ Max Biaggi. The podium was completed by Leon Haslam (BMW Motorrad) who held off both Yamaha World Superbike Team riders Laverty and Marco Melandri. Laverty continually came off second best during his race long scrap with his team-mate, before brilliantly beating the MotoGP refugee off the final corner to steal the final podium place. Race 2’s one-two result was the same as Race 1, with Checa leading home Biaggi. While Checa cleared off, Biaggi held off an eager effort from Melandri, who after the race was visibly delighted with his first weekend as a World Superbike rider. Jonathan Rea (Castrol Honda) emerged from a battering and bruising weekend with a fourth place in Race 2, after falling back with a big mistake at Honda Corner in Race 1. Rea finished ahead of the two Leons, Haslam (BMW Motorrad) and Camier (Aprilia Alitalia). 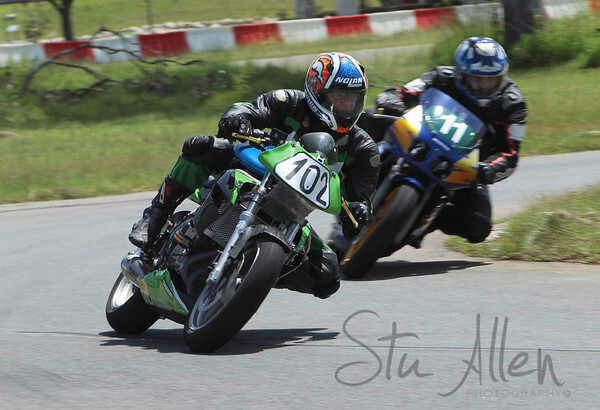 On Sunday had a great shoot at Marreba Mako Track near Cairns for the FNQ road racing club. Was some great racing with the usual suspect A.king,D.Howett and Ross Taylor having some close racing except Ross who blitzed the field on his supermoto. 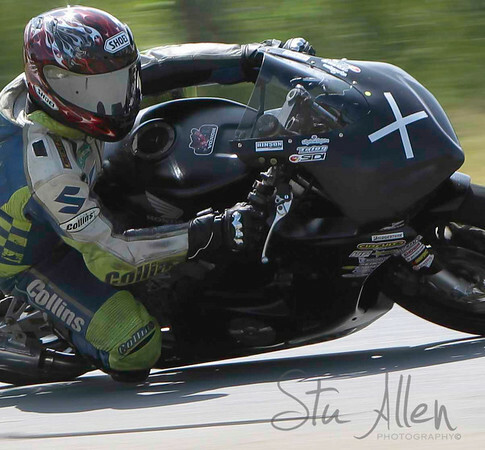 New boy Aron Taff (picture) Has a good showing and shows a fair bit of potential on his Honda. A.king(picture below) was back to his crashing ways. Crashing 3 times at the meeting,Maybe he shouldn`t have sprayed his bikes.